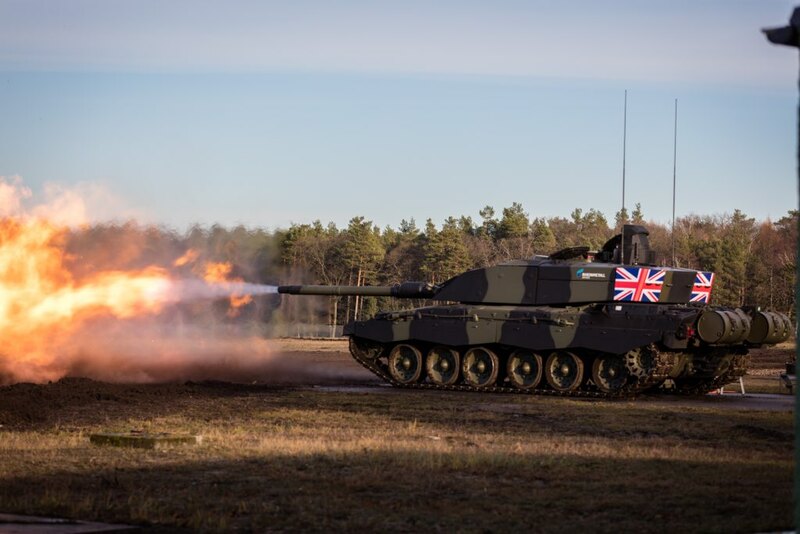 Rheinmetall and BAE Systems have announced that they have signed an agreement to create a joint UK based military vehicle design, manufacturing and support business. Rheinmetall will purchase a 55% stake in the existing BAE Systems UK based combat vehicles business, with BAE Systems retaining 45%. The firms say that the establishment of the new Joint Venture is subject to regulatory approvals which are anticipated to be completed in the first half of 2019. “Once the approvals have been completed, the Joint Venture will be known as Rheinmetall BAE Systems Land (RBSL). “We are committed to evolving our combat vehicles business so that we better serve our customers’ future interests. Joining forces with Rheinmetall in the UK provides renewed purpose for our vehicles business and allows us to deliver products, services and technology that help land forces excel in their vital roles. “We are excited about the potential the new Joint Venture holds for Rheinmetall, BAE Systems and ultimately our customers. The combined capabilities of our two great companies will offer our customers a comprehensive portfolio of military vehicles and associated technologies both now and into the future. The new Joint Venture will be headquartered at BAE Systems’ facility in Telford, England. Good and bad news as the majority vote will be German! Why do UK companies always give away majority shares? I have no issue with joint efforts, as long as it’s 50/50. BAE might be open to losing its grip on the military vehicle market, with this deal. I’m surprised why Germany appears not to want to give the departing UK from the EU much support at this critical time, yet is still investing in UK industry? Do they know something we don’t? I have a feeling the joint venture will only cover the Boxer Vehicle since BAE has no other work going on in UK Land Systems that I’m aware of. I assume it will also cover the C2 upgrade, which will be interesting considering Reinmettal has not released their proposal yet. Could you imagine if it was a Leopard A7 (oe whatever version it is) that came in at a lower price than upgrading the C2. The cost of the C2 upgrade program seems to be off the scale considering the number of units being upgraded and it does not include improvements to power train or the main gun. While the C2 offers superior protection it loses on every other criteria, maybe a joint venture company could focus on BAE improving the armoured protection while Reinmettal provide the refurbished tanks with updated electronics and optics. There in nothing wrong with the CH2 gun – the British interest in smouth bore guns cam from an effort to save money on amo not because the German gun is better. The Germans want to fit a new turet to the CH2 with a German gun…. We should go with the CH2 Black Knight upgrade not the German offer. The Americans are not going to replace the Abrams anytime soon, it is so embedded into their system that I can’t see them doing anything but incremental upgrades for the next couple of decades. Fedaykin, I’m basing my thoughts fifteen to twenty years from now, and should have made that clear. In the meantime, a 130 refurbished M1’s in addition to CH2 would allow for the UK to have enhanced MBT capability. We should not allow the nonsense of the MBT being a redundant battlefield weapon again, and place anyone who does into the Tower! Fedaykin – the pool of Leopard 2’s stored in Germany has gone,they were very competitively priced so they didn’t hang around for long.It has even got to the stage where KMW has bought surplus examples from users (Swiss Army). Thanks for the correction, as far as I was aware KMW still had a pool of 2A4 in storage. The UK would better served developing a C3 using even more modern materials science coupled to active defence suite. No it hasn’t, the Leopard 2 comes in myriad variants bit the only ones to be knocked out in combat are the early 2A4 that Turkey deployed to Syria. The subsequent loss of those 2A4 in combat is entirely down to poor deployment by the Turkish Army, they were using them as pillboxes sitting them in open and clear ground on top of hills with no infantry support making them easy targets for late generation ATGM. Even worse the ammunition they sent with those tanks were penetrator rounds rather than more useful in this kind of combat explosive. My bad. Reread the Tank Nut Dave article. The old turret could only hold 6 rounds. A CR2 normally can carry up to 50 rounds of 2 piece ammo. If the budget is £1bn and the army is only upgrading 250 that should be enough money to rebuild the entire tank. I don’t even think that £1bn includes the cost of upgrading the engine which is part of a separate program. The Rheinmettal proposal is out,New welded turret with 120 smothbore,it will be built in the UK.Its obviously beter than the BAE option so they have decided 45 percent is better than nothing.How much it costs compared to the warmed over design BAE were offering is another matter. Buying into BAE Systems land business would explain why they have delayed revealing their refined solution. Potentially this could offer the best of both worlds to the UK as the original BAE Systems offer used pull through of technology from the Warrior upgrade and Scout program. Far further ahead than I thought they were, this a pretty damn serious solution! Like the way they have retained the basic shape of the Chally turret, interesting to see if it’s armoured as well. This beats the piss out of the Black Knight offering from BAE. The budget is relatively large for what is a small number of tanks so hopefully this wins and the army get what they deserve. Well to be fair there are elements of the Black Knight offering that does have merit. For example the pull through from the Warrior upgrade and the Ajax program systems wise which is sensible in a training and commonality sense. The Active protection system and regenerative breaking on the turret is also an interesting idea. The are certainly elements from both offerings that I would like to see fused together into a single offering. Of course they do Maurice! You mustn’t confuse the German government with the German peoples and German industry. The latter two are sensible and wonderful…….. Real economics and a genuine sense of European-ness trump the monster that is the EU. “Despite Brexit …” – B.B.C. I hear the Army have taken delivery of the first two Ajax variants. Put simply the USA is a far more profitable market for BAE Systems hence their buyout of major US defence contractors over the last couple of decades. The UK just doesn’t have the same appeal except for a few niche areas like Nuclear Submarine construction. BAE Systems in the UK market is increasingly a Systems integrator. Not happy Rheinmettal have 55%. Are you aware that the British Army L85A2 and A3 are being upgraded and produced by Heckler & Koch? Same with the L86A2 and A3. All work on the rifles are done in the UK though. The issues with reliability and durability of these rifles has improved dramatically since H & K has taken over. At one time H & K was wholly owned by BAE Systems – between 1999 and 2002, as a result of a with merger Marconi. That’s how and why H & K became evolved in the redesign and refurbish of the SA80. Shortsighted management sold H & K as part of a restructuring of BAE Systems because it wasn’t considered part of their core business. At one time H & K was wholly owned by BAE Systems – between 1999 and 2002, as a result of a with merger Marconi. That’s how and why H & K became evolved in the redesign and refurbishment of the SA80. This is good news as BAE and Rheinmetall are the premier land military manufacturers in Europe. For BAE this will link up to combine high tech capabilities. For Rheinmetall it will create more opportunity for exports as they can escape the German government’s strict rules for export. I know little on this subject, so apologies. What are the advantages of Leopard 2 over CH2? Is it simply to save money vs the escalating costs of CH2 upgrades? I presume the L2 variant concerned has the same Chobham armour? Ah! Hoped it would be you judging by your posts above.